One of the tallest surviving sections of Roman masonry in Britain, this wall of a town-centre bath house complex stands over 9 metres high and dates from about AD 160. 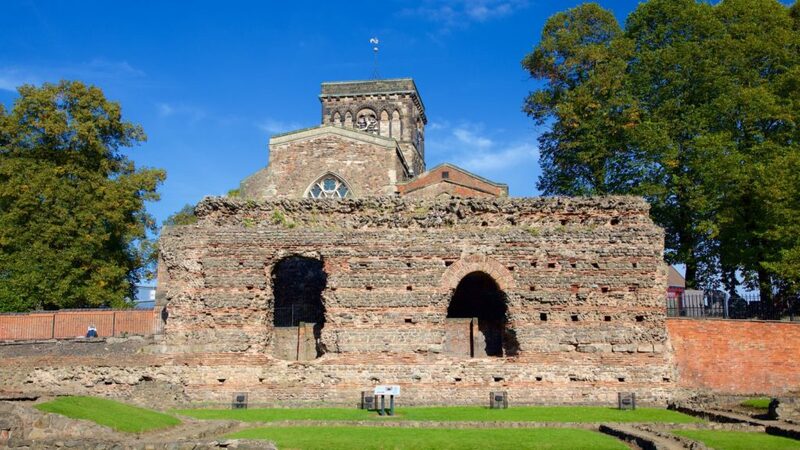 Read more about Jewry Wall’s history. Managed by Leicester City Council – visit their Jewry Wall Museum website.